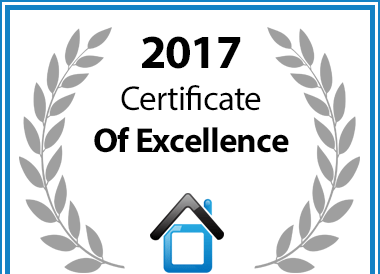 In recognition of exceptional service Sea Trader Self Catering Chalets in St Helena Bay has been awarded a Certificate of Excellence. 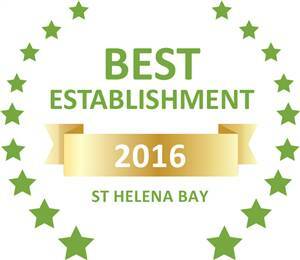 Based on reviews of establishments, Accommodation @ Sea Trader has been voted Best Establishment in St Helena Bay for 2016. Nestled in the splendour of the West Coast you’ll find Cape St Martin Private Nature Reserve, home to Sea Trader, the perfect venue for any function and amazing weddings. Getting married in the West Coast offers many an intimate setting for that special day. On the edge of the sea, Sea Trader is ideally designed, offering privacy and a romantic ambience! Glass sliding doors open onto the beach – providing space for a lovely wedding ceremony, under an authentic gazebo with extensive views of the ocean. Our wooden deck is an extension of the restaurant and offers a comfortable area for wedding guests to take their seats and witness the couple exchanging wedding vows. Alternatively you can make your entrance through the large crafted, wooden doors into our venue/main hall for your ceremony and celebrations.